Health insurance is basically a system that helps defray the cost of medical services incurred by individuals and families. Government agencies, private business and other organizations protect people against the risk of medical expenses by offering them insurance policies for a monthly fee. 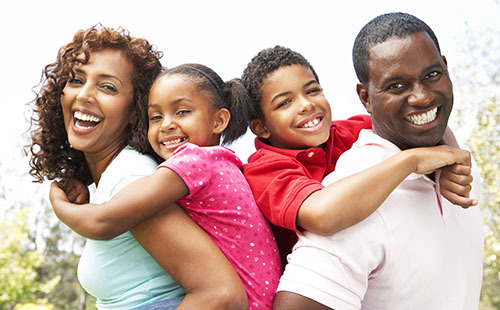 Affordable health insurance refers to programs or initiatives that enable people to be able to afford such coverage. As health care costs rise, so does the cost of health insurance. In fact, both are rising faster than inflation and wages. According to research by the Kaiser Family Foundation, between 2000 and 2006 alone, health care premiums increased 87%, compared to a 3.8% increase in wages and 3.5% increase in the inflation rate. While most Americans - 84% - do have health insurance, 60% of it is provided through employers. Currently, it is estimated that over 47 million people in the United States do not have health insurance. About 24% represent those who lost their insurance because they lost their jobs and cannot afford to purchase their own policies. Others do not have insurance because they have pre-existing health conditions that make them unable to obtain coverage. They are denied a policy because they are considered high risk. It is easy to follow this scenario: Advances in medicine are increasing the cost of health care. The population is getting older. More older people with more health problems than the younger generation are needing more health care services. More people are losing their jobs which provided them with health care insurance. More uninsured people who can't afford health insurance are foregoing health care for themselves and their children, leaving even smaller health issues, without medical attention, to develop into more serious health problems that will require more health care services. While some changes in health care plans seem to have a positive impact on decreasing health care costs, the fact remains that low cost coverage is simply not available to everyone. In fact, more than 47 million people in the United States do not have health insurance. When the uninsured are sick or injured and need medical attention, the cost is paid by those who are insured. Health care is a $2.6 trillion industry in the United States. While it is clear that health care reform is needed, making health care obtainable and ensuring that all Americans have access to it is a huge task and at the root of the national Affordable Health Care Act reform law that was upheld by the U.S Supreme Court in 2010. Because it was proposed by President Barack Obama, this law is commonly referred to as ObamaCare.